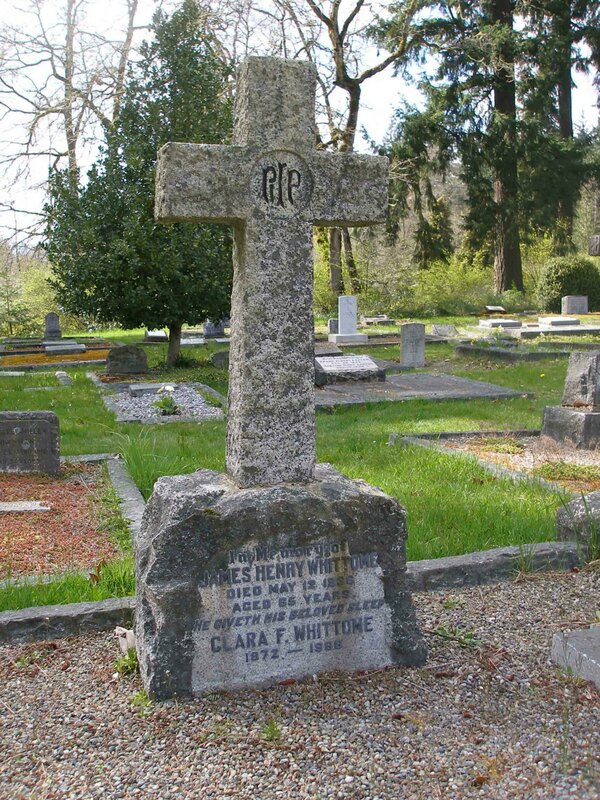 James Henry Whittome (1871-1936) was a leader in Cowichan Valley business and commerce. The real estate and financial services company he founded in the early 20th century as J.H. Whittome & Co. Ltd. is still in business as Cowichan Estates Ltd. 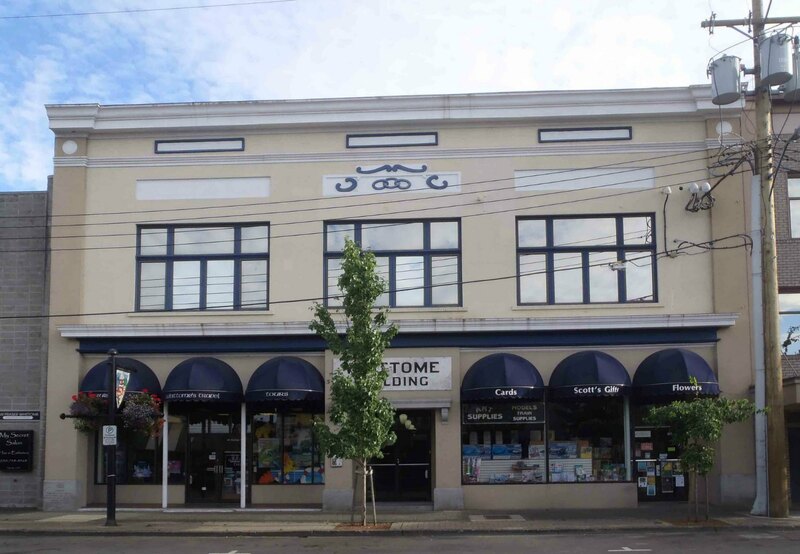 It is a leading commercial property owner in downtown Duncan and the Cowichan Valley. It still owns the Whittome Building, which James Henry Whittome purchased in 1934. James Henry Whittome is buried in St. Peter’s Quamichan cemetery. Whittome Building, Station Street, Duncan, B.C. was purchased by J.H. Whittome & Co. in 1934. “Whittome – Cowichan mourns the loss of one of its outstanding businessmen, Mr. James Henry Whittome, whose death occurred suddenly on Tuesday evening at his home on Maple Bay Road. He suffered a heart attack while in Ladysmith on business on Monday. An illness two years ago impaired his health, but he attended to his duties in the face of failing health, and worked to the last with the same interest which in 1898 caused him to open a real estate and insurance office in the community, which, now carrying the name Messrs. J.H. Whittome & Co. Ltd., has been associated with the development of Cowichan in a leading manner. Mr. Whittome was born in London, England in January 1871. Anticipating a period of settlement and business development in the west, he came to British Columbia in 1892 as a young man of 21, and settled in Duncan, where he entered business soon afterwards. In 1894 he married Miss Clara Frances Jaynes, eldest daughter of the late Mr. William Penns Jaynes and of Mrs. Jaynes. His first office was in the Jaynes Building, now the Coach Lines building, but the demands of business necessitated moving to larger premises, and in conjunction with the late Mr. Clermont Livingstone, he acquired the building on the north side of Station Street, now known as the Whittome Block. The office of the Tyee Copper Company was moved to this building at the same time. 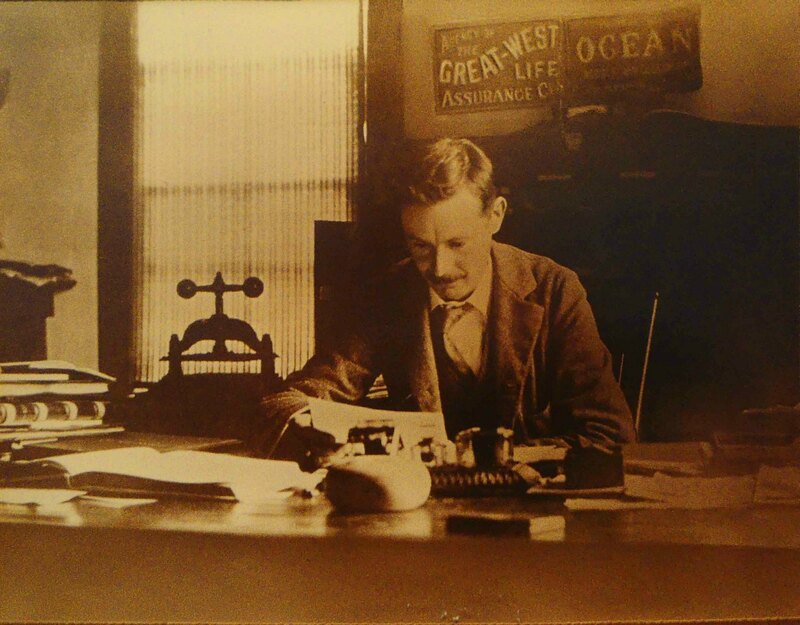 In the spring of 1906 Mr. and Mrs. Whittome and their two children moved to South Africa, but remained there for only two years, returning in 1908, when Mr. Whittome resumed business, acquiring Mr. Livingstone’s interest in the building. In 1912, the year of the city’s incorporation and of much expansion here, the business was incorporated under the present name. Following the war, its activities were extended in line with the growth of the district, and in 1934 the present commodious premises were occupied. A figure in the whole growth of the district, attaching to whom was an importance not generally realized nor perhaps easily recognized, Mr. Whittome possessed capabilities of unusual merit. He was for many years assessor for the Municipality of North Cowichan, and had exceptional knowledge of land and timber values with a reputation unequalled on the Island. He was interested in early mining ventures in Cowichan, and to his grasp of conditions a number of local enterprises owe their existence. His support of progressive moves was always available, and his advice on various matters was highly appreciated by many residents. In private life he was keenly interested in horticulture, and his home on Quamichan Lake had a setting among dogwoods of great beauty. ‘Dogwoods’ was the name he gave to it. Fishing and shooting were also his pastimes. Mr. Whittome was identified with Cowichan Agricultural Society, in whose work he took much interest. He had been a member since 1900 of Temple Lodge, No. 33, A.F. & A.M. Not taking public office he nevertheless had a full knowledge of public affairs in the district, working in the interests of its general upbuilding. He leaves his widow, one son, Mr. Robert William Whittome, one daughter, Mrs. H.F.B. Stamer, and five grandchildren. The funeral will take place this afternoon, with a service at the home at 2:45 o’clock and at St. Peter’s Church at 3:00 o’clock. The Rev. H.P. Napier will officiate. “Whittome – A large number of residents, businessmen and employees and many business associates and friends from outside points attended the funeral on Thursday afternoon of Mr. James Henry Whittome, late head of J.H. Whittome & Co. Many present had known him over 40 years. St. Peter’s Church, Quamichan, where the service was conducted, following the bringing in procession of the casket from Mr. Whittome’s residence nearby, was filled, and outside there were many more. The Rev. R.F. Napier officiated, together with the Rev. F.L. Stephenson of Victoria. The church choir was present, and the hymns rendered were: ‘Lead, Kindly Light,’ ’On The Resurrection Morning,’ and ‘God That Madest Earth and Heaven .’ Mr. R.W. Clements was at the organ. In a short eulogy, Mr. Napier spoke from Daniel v. 10: ‘Oh men, greatly beloved, peace be unto you.’ Of Mr. Whittome’s qualities, Mr. Napier cherished three in particular: his humility, his sincerity and his sympathy. Representatives of the Provincial Government, Duncan; the Municipality of North Cowichan, and the Mayor and entire council of the City of Duncan were among those present. At the end of the procession as it wound down from the home was Mr. Whittome’s Chinese employees. The graveside was banked with many beautiful wreaths. Honorary pallbearers were: Messrs. R.E. Donald, W.H. Elkington, G.H. Madsen, A.W. Hacham, F.H. Price, R. Musgrave (Victoria), G.J. Waldy and G.H. Stahlschmidt (Vancouver). Active pallbearers were: Messrs. Ferguson Hoey, F. P. Hassell, A. Kenningham, Alex Maclean (Victoria), C.F. Davie, K.C., I.G. Eastman (Victoria) and J.E. Green.